We’ve all been there and done it… Not many people can say they’ve never accidentally deleted an e-mail or an important file, and those who have may not have got it back! 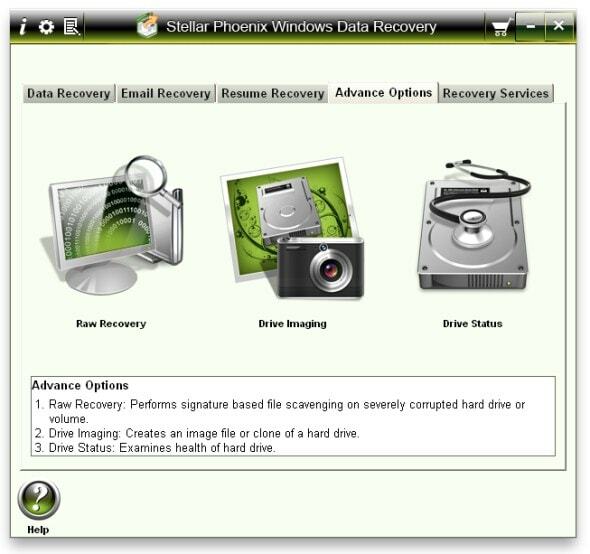 With Stellar’s Windows Data Recovery Software, you can make sure that those all important files are recovered if you ever lose them or format a drive and forget to backup a file. Installation was effortless, and I was up and running in no time with no hassle. Unlike most complex applications that are designed for a similar function, Stellar’s recovery software is extremely well designed, providing easy access to key functions and allowing even the most inexperienced user to navigate around. You’re given five tabs to choose from at the top of the window. When a tab is selected, you’re given different functions to choose from and an explanation on how each of these functions work and how to use it. This is especially useful for beginners, and shows how much thought went in to the design process of the application. So the user interface is great, but does Stellar’s data recovery software work well when getting your data back? To find out, I carried out small test of my own… The first thing I did was deleted numerous documents and other files across my hard drive and made a note of them so I knew what I was looking for when I ran a search to get them back! Under the ‘Data Recovery’ tab, I chose to perform a ‘Deleted File Recovery’, which performs a quick scan to search for deleted files on your drive and presents the results in a treeview. If you can’t find the files you’re looking for you can then perform a deep scan, which should get you results, although it naturally takes longer! I recovered most of the files that I deleted using a quick scan which took seconds, but others required a deep scan, so if you’re looking for a lot of things you may want to perform a deep scan and savage through what’s found. It’s also worth noting that you can’t recover a file to the same drive that you’re recovering it from. This means that if your computer only has one hard drive, you may want to recover the file on to an external drive, such as a pen drive or external hard drive or else the process won’t work. 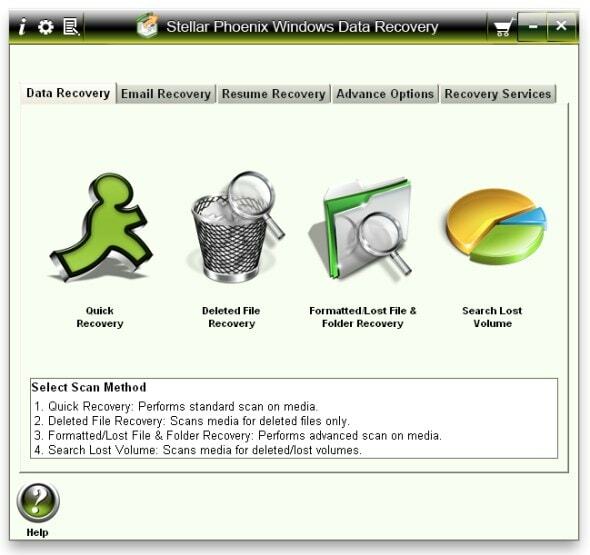 As well as scanning for lost data, you can also specifically recover deleted emails with Stellar data recovery, which is a great feature to have, especially in a corporate situation where many e-mails are of the upmost importance. When your email file is found (either a .pst or .dbx email file can be searched for) you can then recover it to Outlook. The only down side to this is the limited file support; Microsoft Exchange isn’t supported which is a down side for many corporations, but it’s definitely a feature that could be expanded further in the future to accommodate more users. In addition to these main functions, you’ll also find more useful features under the ‘Advance Options’ tab, which offers utilities that can examine the health of your hard drive, create an image file of your drive or use raw recovery to try and extract data from a corrupted drive. 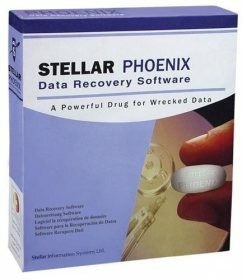 Although it carries a $99 price tag, Stellar Phoenix Windows Data Recovery software is a great tool for power users and regular users alike, and if you’ve got data that you need to recover for any reason, this great utility could be the way to go! Hoping to study Computer Science at University in the near future, you’ll seldom see John without a computer in touching distance! His interests include building computers, reading all sorts of literature and of course writing for Zath to keep you updated on all the latest in the world of tech! You can follow John on Twitter as @british_geek.